If you already know the basics of Photoshop CS6, take your photo-editing skills to the next level by mastering its advanced features and techniques. 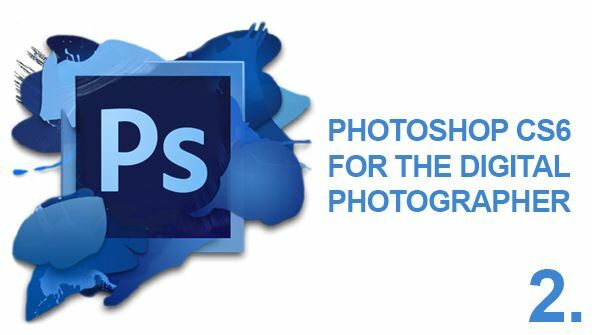 Adobe's Photoshop CS6 is a powerful software solution that provides support and specialised editing tools for digital photographers and graphic artists. If you know the basics of this powerful program, you're ready to master advanced techniques, including building collages, doing detailed editing, and restoring old photos. This class is perfect for you if you're already familiar with cropping, printing, and color adjustments, as well as the use of selection tools, and you want to learn how to add special effects and take your photo-editing skills to the next level. In these lessons, you'll explore a wide range of options, including portrait editing, image distortion, and filters. In addition, you'll learn how to make the most of Adobe's award-winning layers option by combining images with layers and combining layered work with CS6's tabbed windows feature—a great tool for multi-image work. You'll also see how and when to use raw images, and you'll discover when to use JPEGs for outstanding prints and projects. You'll be amazed by the new HDR options and the dynamic results. If you haven't fully unlocked the mysteries of Photoshop CS6, you'll find all the answers you need in this course. By the time you complete these fun, easy-to-follow lessons and hands-on activities, you'll be a true Photoshop guru. Lesson 12- Bringing It All Together! From the moment that you enrol in Photoshop CS6 Digital Photography II you will become an integral part of our learning community. You will experience the perks of classroom studies such as chatting by the water cooler or sharing your opinion on a specific task, all in your own home.